Aim of this report is to provide practical hints on how to evaluate the concept of Resilience in the domain of Critical Infrastructures (CI). The common understanding is that today best practices address cyber / physical protection of CI at the best they can, with traditional static and iterative solutions, trying to stop all possible known threats at the border of the single CI’s assets or CI’s full perimeter, ready to start with procedures of disaster recovery and business continuity in case of failure stopping external threats. institutionalized through the European Higher Education Area, which all the Western Balkan countries adopted and modified their higher education systems accordingly. The appearance of private higher education institutions was one of the first steps in the overall national reforms of these systems, where the Republic of Serbia is amongst regional countries with the biggest number of private universities, faculties, and colleges, especially in the social sciences and humanities. At the same time, the national security sectors went through the process of decentralization and privatization. 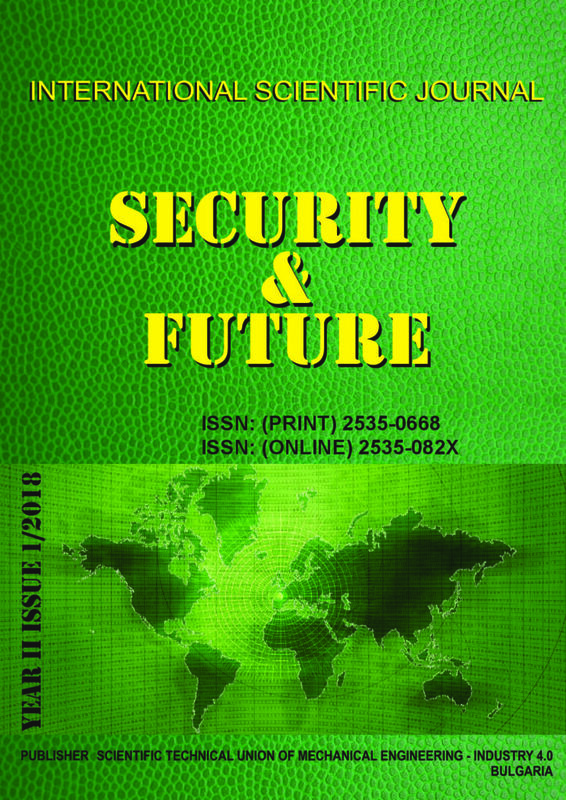 These external and internal factors, combined with the global rise of importance of securityrelated phenomena, especially after the 9/11 events, brought the security studies in these countries in focus of interest of the existing and rising higher education institutions. Conflict heritage, the existing local security threats like extremism and terrorism, and a vast number of experienced national security officers with university titles, led to the appearance of various academic programs on terrorism, national security, national defence, and private security studies both on the existing state-owned and private universities and faculties. At the moment, the Republic of Serbia offers several dozens of higher education programs in security, on all the existing study cycles, within three different types of studies, and both for academic and professional levels. The paper will provide an overview of the existing higher education programs in the field of security and analyze the main discourses, directions and possible perspectives. Maritime piracy and armed robbery against ships are one of the contemporary challenges to the shipping and have global impact on maritime trade and security. Following the boom of Somali piracy in 2009-2011, there has been a downward trend since 2012, resulting mostly from the international counter-piracy efforts, with reaching its lowest value for the last 20 years in 2017. However statistics show doubling the number of attacks in some other regions in the last several years accompanied by increased levels of violence. This report presents a survey of maritime piracy and armed robberies over the last ten years (2008-2017) by regions and countries, as well as by type of attacks on ships, personnel and cargo, with the purpose to outline the trends in contemporary marine crime. An overview of the emergence and development of nuclear weapons has been made since its creation to the present day. Described are the attempts and consequences of using this weapon. What are the accumulated capacities in the world and what is their prospect for mankind? Described are the parameters of the current nuclear abatement agreements. European environmental policy faces major challenges arising from the interaction between public production and nature.The challenge for us, today’s people, is to create material goods without disturbing eco-equilibrium. The main reasons for the emergence of environmental policy is conditioned by objective factors, the most important of which are: climate change, resource depletion in the face of rising global energy needs, price level dynamics, problems and environmental damage from the development of the classical technologies. One of the possible solutions to this problem is the application of new sources of energy, such as renewable energy sources. This report proposes a classification of the bulletproof vest according to various features, which is based on a study and analysis of modern threats and the use of vest by military, police and other units. This classification would allow for a quick, easy, adequate and reasoned choice of the appropriate vest kind and type depending on the tasks and the environment of operation.